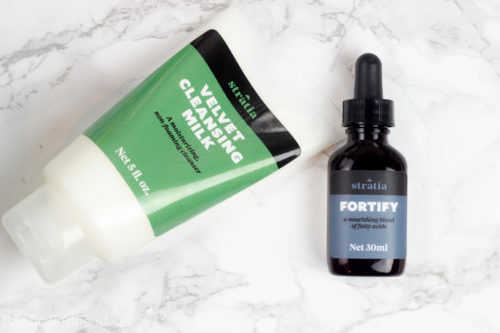 Since my last skincare post I’ve replaced my First Aid Beauty cleanser with the Stratia Velvet Cleansing Milk and have been testing out adding Fortify into my routine. As well as testing out the Holy Snails line up of products, but that is for a different post all together. I’ve already been over the moon happy with the results that Stratia’s Liquid Gold has given me, my skin is plumper, dewy and bright. It is incredible the difference, I’ve never felt my skin this hydrated. Now, nothing against the FAB cleanser but it was just a cleanser. It was great for sensitive skin and it removed makeup/dirt with no issue but I didn’t notice any additional benefits. I was drawn to the Stratia cleanser because of the magic word moisturizing and it does just that. I lightly wet my face with warm water and take about a nickel sized amount on my hands and rub the cleaner gently into my skin, massaging in circular motions. Once I feel sufficiently cleansed I rinse with warm water and then wipe any excess with a soft towel with cold water. I follow my cleanser with the rest of my routine. So far with this adjusted routine my skin is brighter, texture has evened out and it is plump and moisturized. Stratia’s website says Velvet Cleansing Milk is a moisturizing, non-foaming cleanser that gently removes dirt and grime without drying or damaging your skin’s natural barrier. If you have dry/dehydrated skin like myself a foaming cleanser will remove too much from your skin and will more than likely leave your face feeling dry, tight and stripped. Too harsh of a cleanser can damage your skin barrier which can lead to flaking. 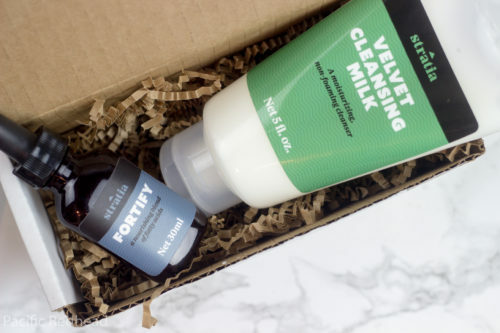 According to the website, Velvet Cleansing Milk is great for most skin types but very oily-skinned people might need a stronger cleansing power such as that from a foaming cleanser. Velvet Cleansing Milk has a PH of 5.0. You can buy Velvet Cleansing Milk here for $15.00 for 4fl oz and they just switched to a pump top which is even better! I love Oils! My skin loves Oils. 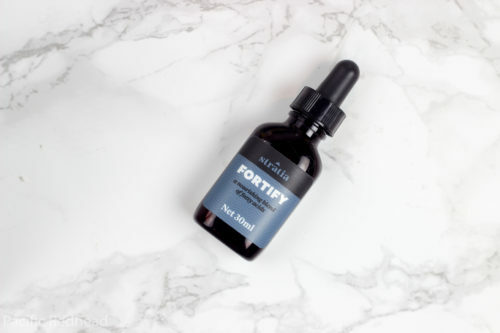 Fortify is a facial oil with a blend of omega fatty acids. Fatty Acids are already found in our skin’s moisture barrier throughout the epidermis and dermis. Fatty Acids can prevent UV damage and reduce signs of aging. Omega Fatty Acids can also lighten up sun spots and hyperpigmentation. One of the things that I like most about Stratia products is that they are formulated to achieve specific goals and are no BS. 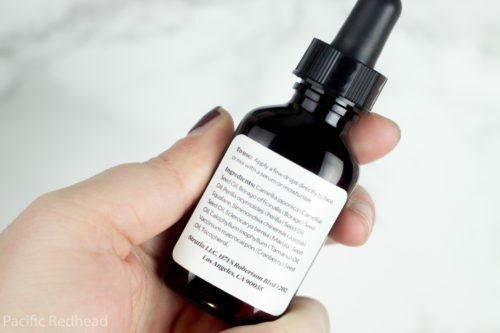 If her products says it does X then it is formulated to do X and it does X. Borage Seed, Perilla seed and Cranberry seed oils are included for their essential fatty acid content, which are Omega-3 and Omega-6. Camellia Seed, Japonica and Marula Oil all contain oleic acid, Omega-9. 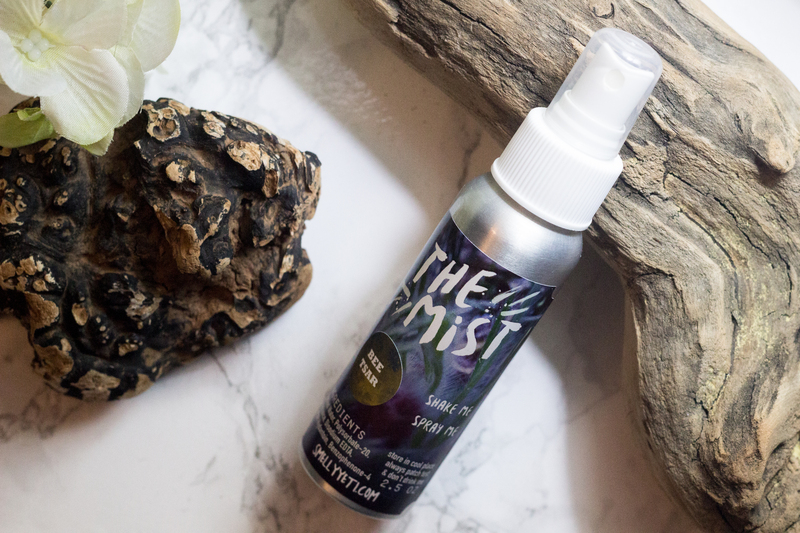 I like that this oil is a bit thicker in consistency than most and I find that it sinks into my dry-dehydrated skin quickly enough that I don’t find it moves around my makeup if I apply on top shortly after. I love that it doesn’t have any additional fragrance. 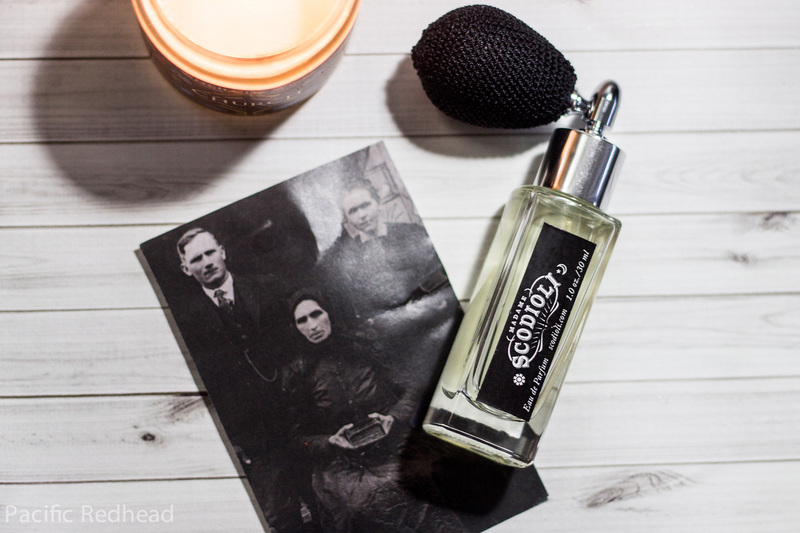 It does have a slight scent due to the ingredients themselves but it isn’t offensive or overly noticeable. You can buy Fortify here for $18.00 for 30ml. Great review for both. I just ordered the Liquid Gold and love it! 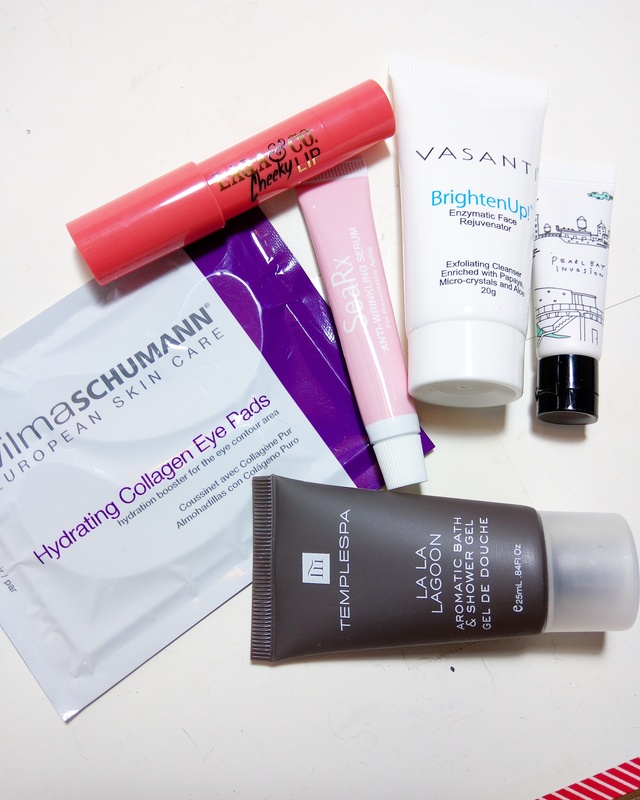 I have dry/dehydrated skin as well- it’s been tough finding good products that work! It is really tough! 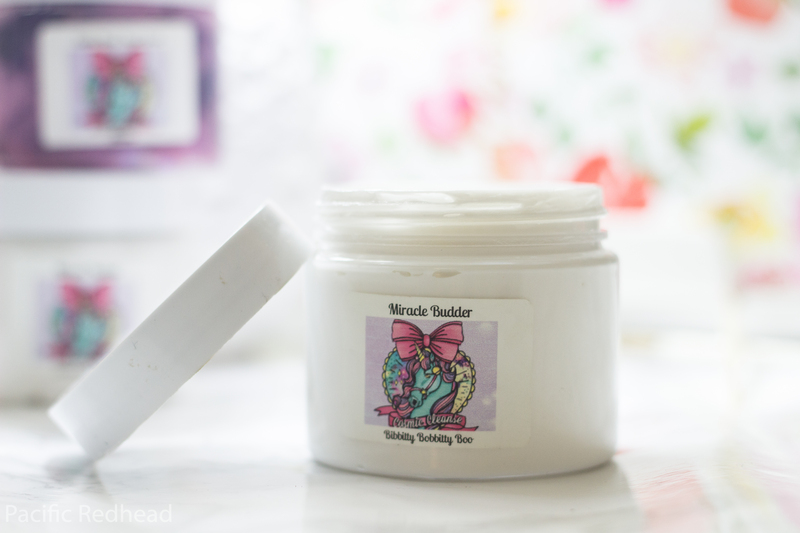 I’ve been lucky I’ve found these few things that have been super successful for my skin. I’m glad it is working for you too! 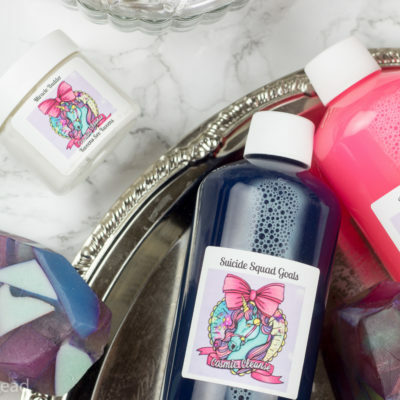 The stratia products look interesting. I’m especially ontrogued by this snail cream though! Ugh I wish my face liked oils! They don’t necessarily cause mayhem, they just never sink in. Or at least the ones I’ve tried. I will say that Liquid Gold sinks in, and that’s loaded with Buckthorn Seed Oil. Hmm. Anyone else have this issue? Any insight about the cleansing milk for folks with rosacea or sensitive skin? I definitely need to get stratia liquid gold. It gets rave reviews on reddit and seems to be their most talked about product. It is really nice if you have dry skin. I’ve been very happy with all the products I’ve tried. Omg have been wanting to order this. Cute blog btw.